Clara is from Chile. She moved to London around thirty years ago and since then she goes back to South America only rarely. She is disappointed by the course her country is taking under a right wing government supervised by the US. She is also outraged by the number of nostalgic Chilean citizens still supporting their former dictator Augusto Pinochet. 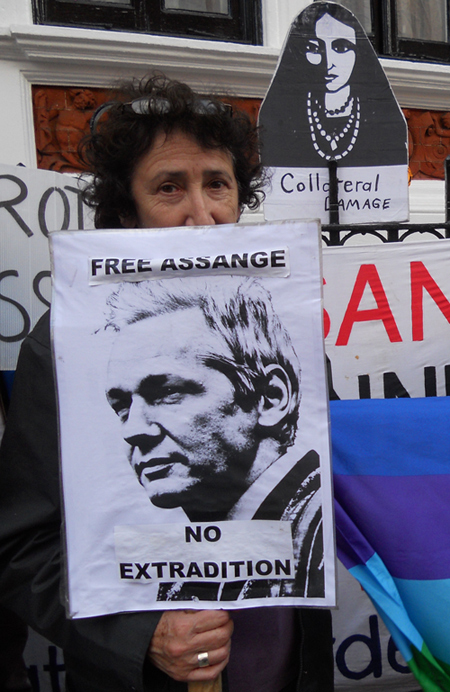 Today Clara is one of the activists who maintain a daily vigil in front of the Ecuadorian embassy in Hans Crescent, London, to show her support to WikiLeaks founder Julian Assange. The journalist and editor is wanted in Sweden at all cost despite his many past attempts of been interviewed. He has been inside the embassy for nearly four months, threatened of arrest by the Met Police notwithstanding he was granted political asylum in Ecuador. 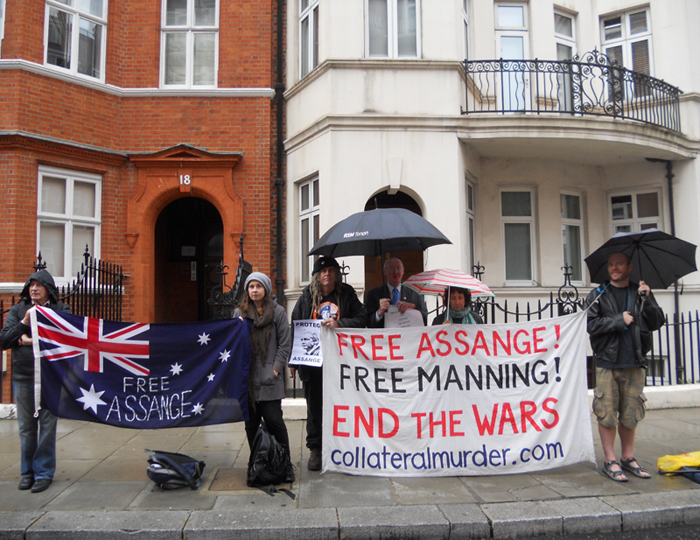 After fourteen years, at least six of the campaigners against Chilean dictator Pinochet met again at the Ecuadorian embassy in support of Assange. Apart from the historical impact and repercussions of the two cases, it’s interesting the recurrence of some of its actors. Spanish jurist Baltasar Garzón who in 1998 issued the international arrest warrant to extradite Pinochet to face his crimes towards Spanish citizens tortured and killed in Chile by his regime (and then charged him with genocide and terrorism), is the same Garzón that today offers his legal support to Assange. 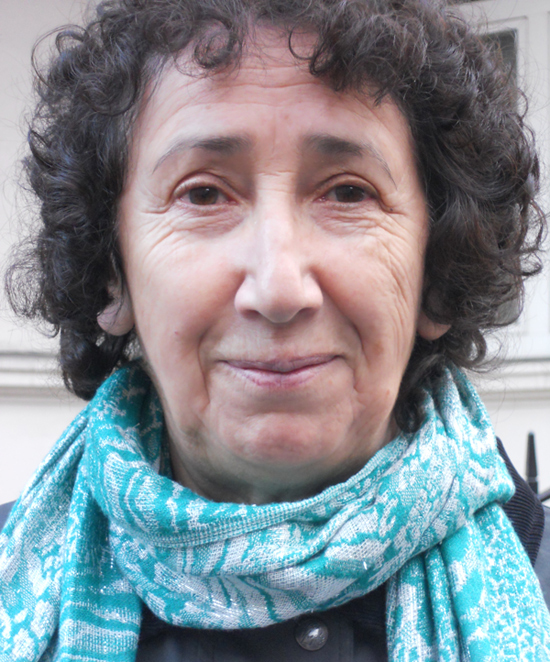 It is also the same English barrister Clare Montgomery who represented assassin and dictator Pinochet, that now wins her extradition case against Assange (at least in the courtroom). And unsurprisingly, the same group of activists, Clara among them, who yesterday were opposing torture, political persecution and dictatorship, are still here today, fighting for truth and freedom of information. 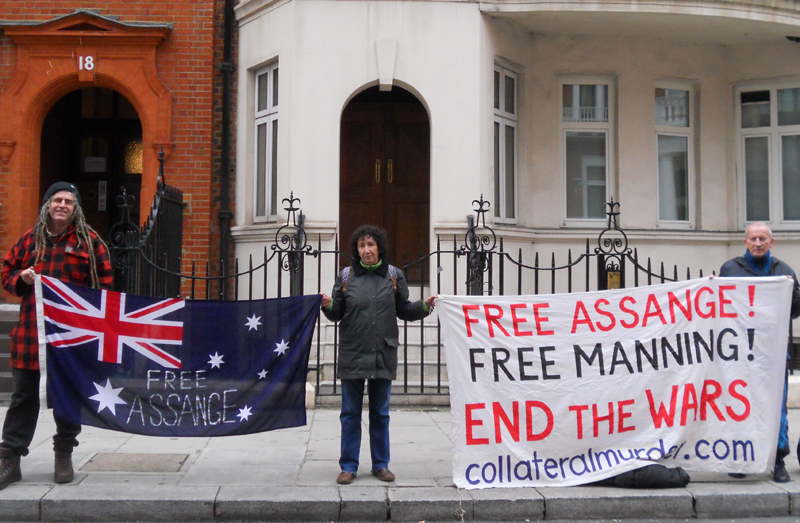 Gallery | This entry was posted in Analysis, Assange and tagged Britain, Julian Assange, solidarity, torture. Bookmark the permalink. We will not forget you, we will not give up. Courage is contagious.